Nick and I are heading to Colorado on Sunday for a kid-less, week long house hunt. My initial reaction to these plans was, "Wow, I am going to read a book on a plane without interruption." I have mentioned that I have been nervous for this move but I think I can finally say that some serious excitement is settling in. So for my last pre-trip post, I decided to wrap up the individual posts of each block for the City Sampler QAL. This QAL has been great for me- I don't think I would've pushed through to the end if I hadn't had some deadlines and external motivation to complete it. I can't wait to see this one done! And I am pretty happy with the unique color scheme- although I don't think it's all that unique for me because when given the chance, I always seem to go for some combination of blue, red, and yellow. 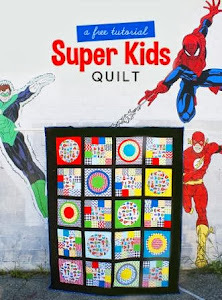 Although it isn't technically finished, I think finishing the 100 blocks qualifies me to link up to Crazy Mom Quilts for Finish it Up Friday. Thanks for reading! 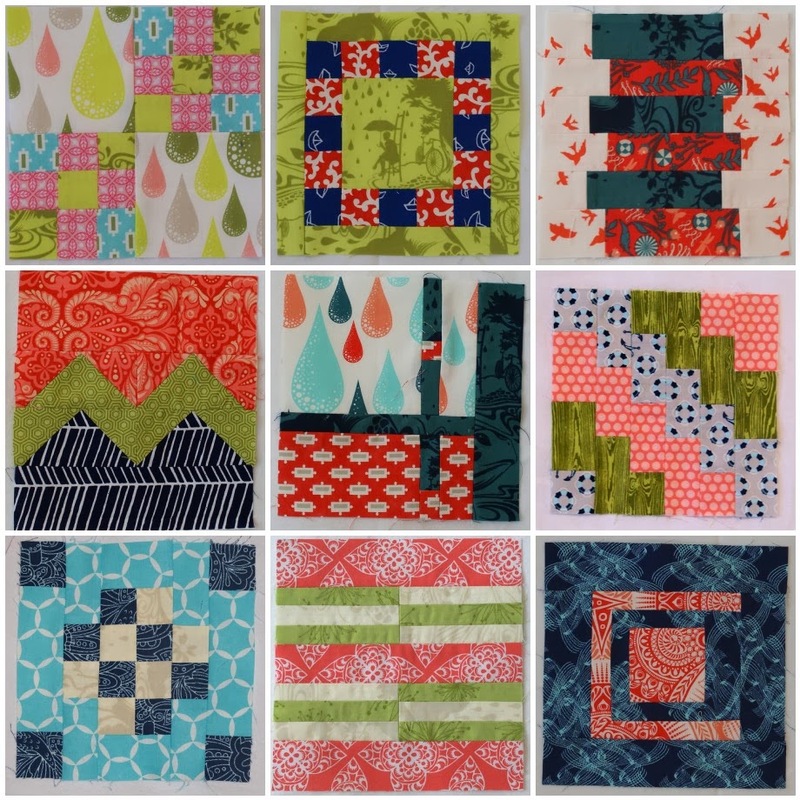 Your Tula sampler blocks are fantastic! I really love your pictures of all the blocks! The combination of colors works beautifully. Will you sash between the blocks? Have a wonderful time in Colorado (beautiful state)! They look great. I lost my steam and still have a little over half to make! So pretty! Congratulations on finishing up your city sampler blocks! Your sampler blocks are fabulous!! I have been using a few of the blocks too, but what a difference when you do them all and put them together! Super cool! These look fabulous! It totally counts! Congrats on the finish. That is a power of work! It looks fantastic so far! Well done! 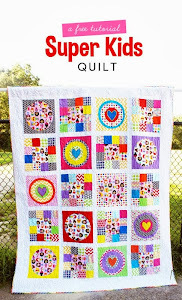 Tula Sampler Blocks in this quilt? You've done an lovely quilt here. I really like the whole quilt.